The Food Companion is an easy-to-use guide for the different types of foods you should eat every day. 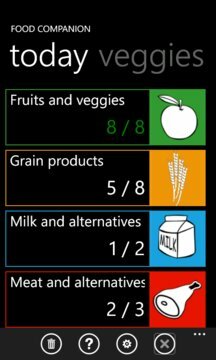 It also tracks the number of servings of each type you eat and lets you know if you are getting the nutrition a healthy body needs every day. 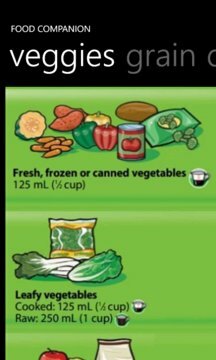 The information in the companion is based on the latest Recommended Number of Food Guide Servings per Day released by Health Canada.